Symbols of love, beauty, grace, femininity and the transience of life were all attributed to these butterfly goddesses. They had a special role for women who died in childbirth, or who lost their infants at birth as they carried the souls of the dead safely on their way. The souls of brave warriors who fell in battle were also tenderly guided to their resting place. In Japan, the beautifully spread wings of the butterfly emerging from its cocoon after its long sleep is a symbol of the grace and beauty of young girls as they metamorphose into lovely young women. Geishas are often identified with butterflies. In China, the butterfly is a symbol of marital harmony and felicity and two butterflies in flight often symbolise this love. Other symbolism surrounding butterflies relate to peace, dreams, thoughts, intuition, playfulness and tenderness and it is not difficult to understand how any of these attributes came about. 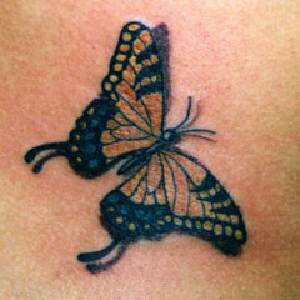 Flying butterfly tattoos can therefore signify any combination of these that the wearer chooses. 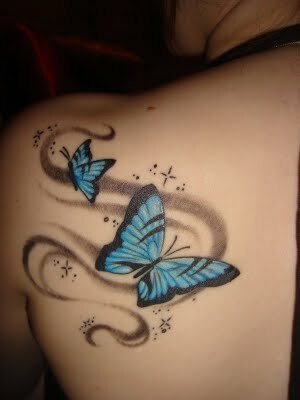 A popular area to display the wide-spread wings of flying butterfly tattoos is on the small of the back, though this is not exclusive. Some women proudly display them on the neck or chest area whilst others might choose the abdomen or shoulder. Smaller designs are often placed on the upper arm or leg, but to do justice to the amazing colour spectrum available, larger designs are preferred. 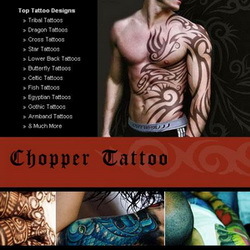 For smaller, more discreet tattoos, the close winged designs are sometimes chosen. 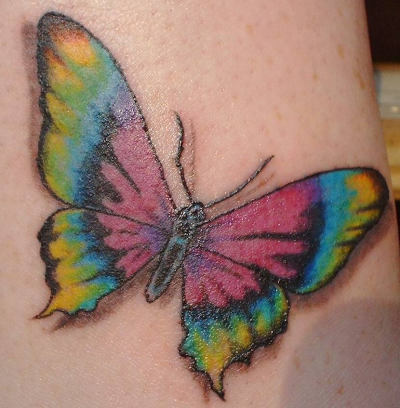 As skin ages, tattoo inks might fade or blur, but butterfly tattoos can quite easily be re-touched, and as fashions or tastes change, other colours or designs (such as foliage or flowers) can be incorporated into the original tattoo to give it a fresh, new look. The versatility of flying butterfly tattoos is as great as the species itself and this flexibility makes it an ideal choice of tattoo for the modern woman.